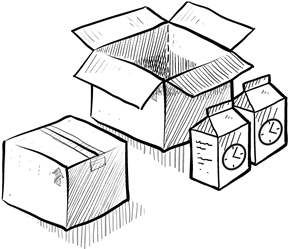 Learn how to run more profitable projects by treating hours as inventory. Whether you prefer iOS, Android, the Apple Watch, or your desktop computer, Tick is the easiest way to track your time. Enter time from anywhere and keep your projects on time and on budget. Learn how Tick’s apps help you enter your time from anywhere. Last year, Tick helped 22,169 people track 14,551,815 hours towards profitable projects. 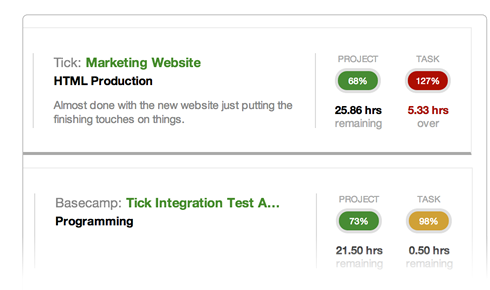 Select your project and task, then start our time tracker with just a click of the button. Tick takes the hassle out of time tracking so you can get back to work. See how the Tick Timecard makes time tracking painless. 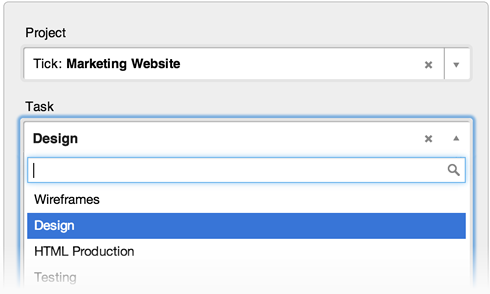 Learn how Tick helps you hit your budgets. "Tick has helped with profitability, cash flow and allocating time more efficiently." 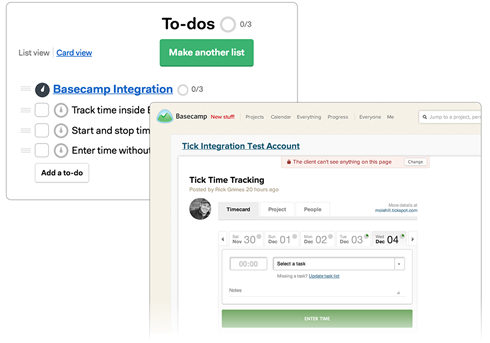 Learn how Tick brings time tracking into your Basecamp workflow. 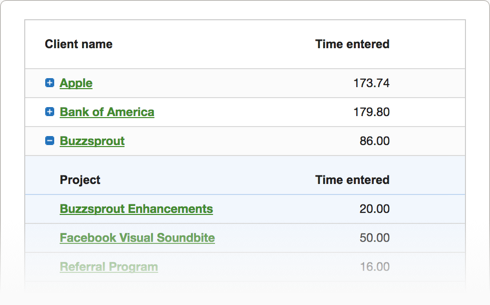 Learn how Tick’s reports help make your projects more profitable.